Drawing on the philosophies of art developed by the continental authors and studies of Anglo-American philosophers, this book presents a panorama of the philosophy of art. It discusses definitions offered from the analytical school including Arthur Danto's representationalism, Dipert's theories of artefactualism, Dickie's institutional and procedural theories and Levinson's historical and cultural theories. From the continental theories it reflects on Hegel's notion of philosophy of art, Martin Heidegger's and Hans Georg Gadamer's hermeneutic tradition and Alexius Meinong's theory of objects. This range of definitions and theories are judged and defended using a form of representationalism that begins with the results of Arthur Danto's thinking and integrates the aesthetic reflection of the Baumgarten School. 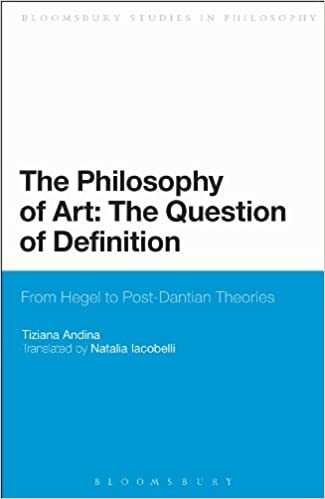 The result is not only a presentation of philosophy of art from the beginning of the twentieth century to present day, but a study that proposes a theory capable of synthesizing the finest contributions of the analytic and continental traditions. Danto argues that works of art share the same ontological region that is occupied by natural language. Danto clearly harks back to Strawson and borrows the underlying idea: an artwork is a material object that embodies ‘something’, beyond the original material structure, that renders the object a different kind of object. It is, in other words, a new complex of commodities. A person is something more than the sum of the parts of their body, just as an artwork is different from a simple artefact.